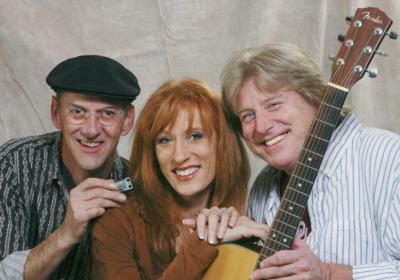 Roger Legel, Kris Henderson and Dave Enway are bringing memorable music from the 60's and 70's to audiences and venues throughout the Western Suburbs. Performing classic hits that have folks singing along and dancing the night away. The group features Dave on acoustic guitar, Roger on harmonica and Kris on percussion but the real magic is the pure three part harmonies that make it seem like they've been singing together for years. In reality, the group formed at the end of 2009 and has since played out nearly every weekend at clubs, festivals, benefits, restaurants, fundraisers and private parties for audiences of all ages. Songs from Crosby, Stills & Nash, Simon & Garfunkel, Eagles, Credence Clearwater Revival, Loggins & Messina, America, Jim Croce, Doobie Brothers, The Beatles and many others fill their song list. Often, folks will comment that they hadn't heard some of these tunes in years and yet they remember the words and still love the songs. This band brought amazing energy to our event! Working around an awards program can be a challenge to a group of performers. But not this group! They worked with our event and made it the most memorable yet. Our CEO was so surprised and enjoyed his involvement with them during the program. 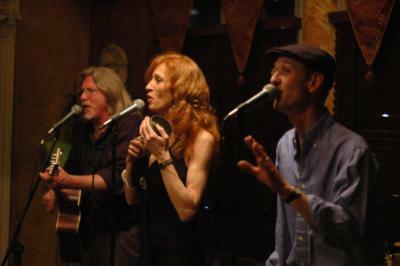 The band is an extremely talented group of musicians with a wide range of songs. They managed to start and stop multiple times as awards were given and provided such an entertaining backdrop during the program and then such enjoyable music before and after the program. What a treat! How I will top this next year will be a real challenge! Thank you TRiO! Please note TRiO will also travel to Eola, Montgomery, North Aurora, Fox Valley, Mooseheart, Oak Brook, Batavia, Oswego, Bristol, Naperville, Sugar Grove, Warrenville, Geneva, Lafox, West Chicago, Bolingbrook, Elburn, Saint Charles, Winfield, Lisle, Wheaton, Yorkville, Big Rock, Kaneville, Plainfield, Wasco, Carol Stream, Downers Grove, Plano, Romeoville.